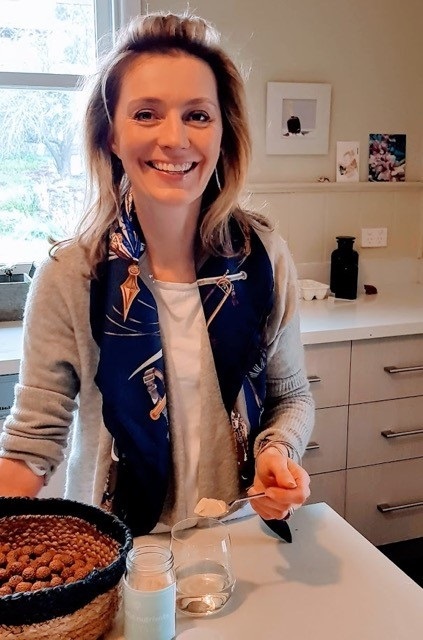 Susie McLachlan hopes to unearth the benefits of foods favoured by Indigenous Australians to address challenges experienced by children and adults with attention deficit hyperactivity disorder (ADHD). Susie plans to use these foods, such as native plants and fruits, to make a range of naturally sourced health supplements, under the brand Mindful Nutrients. ADHD can start in childhood and result in life-long challenges. It manifests with attention difficulties, hyperactivity and impulsiveness and can contribute to low self-esteem, troubled relationships and difficulty at school or work. The positives of ADHD can include high energy and creativity. Launching Mindful Nutrients has been a fascinating journey for Susie, a lawyer, art historian and mother-of-two. She moved from the city to a remote livestock farm at Langkoop, on the Victorian/South Australian border 12 years ago and set up her first business Cornucopia, making and selling popcorn. Living so far from business support and opportunities, Susie faced an uphill battle launching her latest enterprise, Mindful Nutrients. Her goals gathered pace through Agriculture Victoria’s Food Innovation Network and the Rocket Seeder start-up accelerator program. “I needed a connection to people to make it happen rather than trying to do it all by myself,” explains Susie. “I received $10,000 from the Food Innovation Network last year through its voucher program and this enabled me to employ an expert to take me through the commercialisation process. It would have taken me 10 times longer to reach this point alone,” she says. Through Rocket Seeder, a not-for-profit member-based organisation supporting food and agricultural entrepreneurs, Susie attended a 14-week coaching program. This included the opportunity to work with researchers at Monash University’s Food Innovation Centre and pitch her business ideas to an investor network. At Monash, she continued her work looking at ways to tap into the health benefits of indigenous native foods such as Yam Daisies (also known as Murnong — a root vegetable that was overgrazed following European settlement) and Kakadu Plums. The experience has given Susie a renewed passion and understanding for her business and what it stands for. “I feel like there is a really great opportunity to tell the story of indigenous plants. There’s a lot of knowledge that used to be here and has been lost. I want those voices to be heard louder,” explains Susie.